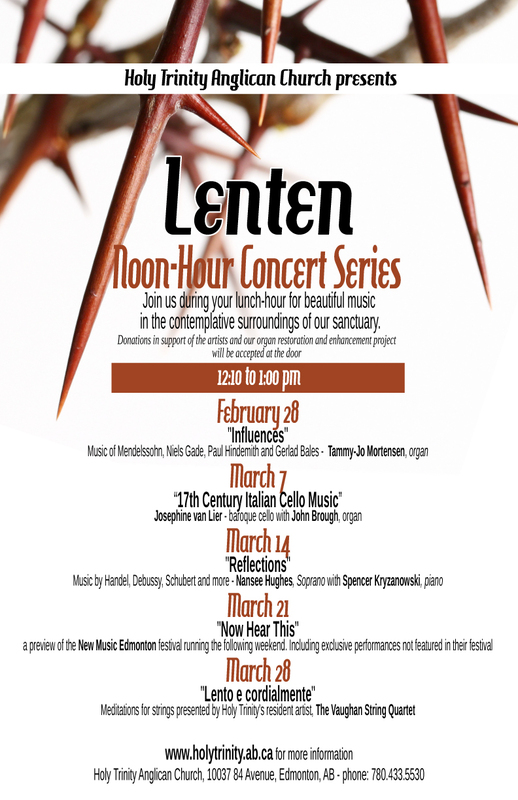 The noon hour Lenten Concert Series returns again this year with another fantastic line up of talented musicians. Wednesday afternoons at Holy Trinity from 12:10 to 1:00PM. Feel free to bring your lunch along and eat during the concert. All concerts are free, with donations accepted. March 21: “Now Hear This” a preview of the New Music Edmonton festival running the following weekend. Including exclusive performances not featured in the festival.